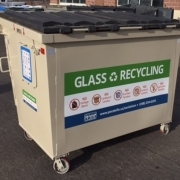 By the time a glass container is put into a purple cart, emptied into a recycling truck, transported around town, dumped onto a tipping floor and then sorted from the other materials, it’s typically broken into small pieces. 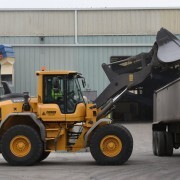 This can represent a significant challenge to recyclers, since the small, broken pieces of glass find themselves mixed in with other small pieces of materials. 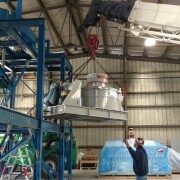 Thanks to a new, state-of-the-art waste glass processing plant opened by Momentum Recycling in 2017, Denver’s glass can now be more easily recycled into new bottles. 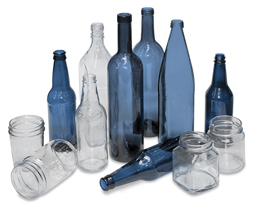 With the help of advanced cleaning and sorting technology, Momentum Recycling can remove all non-glass impurities, and then sort the glass pieces by size and color to prepare glass pellets, (also known as glass cullet) for local bottle manufacturers here in Colorado. 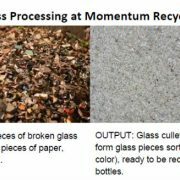 At a time when some communities are retreating on glass recycling, Momentum Recycling is doubling down on it. 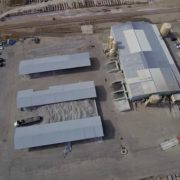 The Salt Lake City-based secondary glass processor is currently building an $11 million glass cleaning and sorting plant near Denver (see photo to the left and below), enabling bottle-to-bottle recycling there. 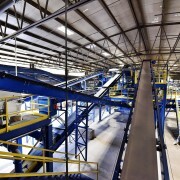 In Utah, the company already collects and processes glass for use in insulation and other products, sending no glass to landfill.